Contraception is prevention of fertilization of an egg by a sperm (conception) or attachment of the fertilized egg to the lining of the uterus (implantation). There are several methods of contraception. None is completely effective, but some methods are far more reliable than others. Effectiveness often depends on how closely people follow instructions. Following instructions for some methods is easier than for others. Thus, the difference in effectiveness between typical use (which is often inconsistent) and perfect use (following the instructions exactly) may vary greatly from one method to another. For example, oral contraceptives are very effective with perfect use. However, many women forget to take some doses. 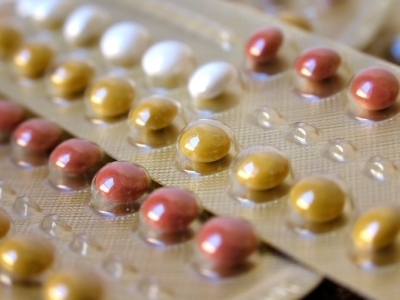 Thus, average use of oral contraceptives is much less effective than perfect use. In contrast, contraceptive implants, once inserted, require nothing more (and are thus used perfectly) until they need to be replaced. Thus, typical use is the same as perfect use (until implants need to be replaced). People tend to follow instructions more closely as they get used to using a method. As a result, the difference between effectiveness with perfect use and that with typical use often decreases as time passes. Besides its degree of effectiveness, each contraceptive method has other advantages and disadvantages. For example, hormonal methods have certain side effects and increase or decrease women's risk of developing certain disorders. Choice of method depends on lifestyle, preferences, and the degree of reliability needed.